Key info and tips to visit the Cinque Terre in one day from Florence or from Pisa. Discover and enjoy the most of the Cinque Terre if you only have one day: charming Monterosso, Vernazza and Manarola. Ideally, you would like to dedicate at least a couple of days to explore beautiful Cinque Terre, plus maybe two or three days more to visit Portovenere and the Golfo dei Poeti, Santa Margherita and Portofino, and beautiful Abbazia di San Fruttuoso. 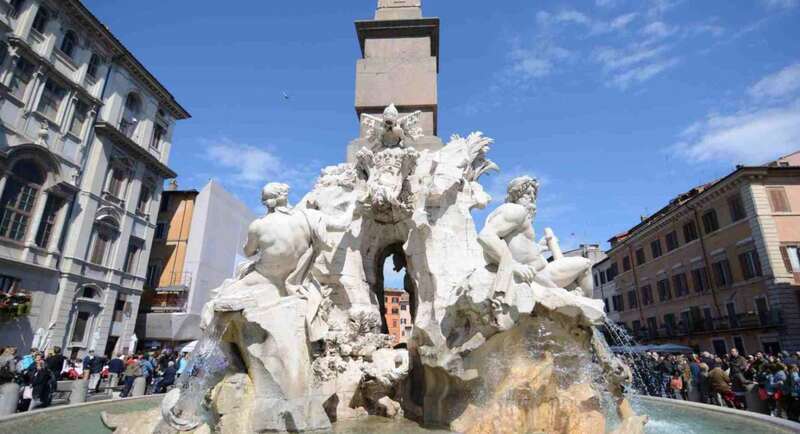 Unfortunately, not so many travellers have more than one day to visit Cinque Terre, and many want anyways to get a glimpse of the Cnque Terre while staying in Florence or in Pisa. So this post if aimed at the rushy travellers, who want to see in just one day Cinque Terre key highlights: Monterosso, Vernazza and Riomaggiore. It is intended to give you the hints to visit Cinque terre on youself, which is not that difficult.. Alternatively, you can participate to an organized tour, which will probably alow you to see more. In case you are interested, click here for a very good Cinque Terre day tour. The cinque Terre are five hamlets built on steep hills overlooking the Mediterranean sea., they are accessible from Florence via Pisa. Cars are not allowed, so only way to visit is by sea or by train or, of course, by walking the many trails. This is the cinque terre map, where you can see where the five hamlets are actually located and the main trails. The cheapest way to organize the trip is to use train. You have many trains leaving from Florence and getting to Moterosso in as less as 2:10 hours, with a change in La Spezia to catch the Cinque Terre Express, the shuttle that connects the five hamlets. Returning to Florecne will take the same amount of time, so check Trenitalia time table to select and to reserve the train best suited for you. The most popular (and, unfortunately, crowded) trail is the so called “Sentiero Azzurro” (blue trail), which is the closer to the coast, and the only one that requires an entry ticket (7€). You can’t do it all in one day, so my suggestion would be to limit your walk to the Monterosso – Vernazza segment (roughly one hour), so that you can visit the first two hamlets and use the frequent local train to visit Riomaggiore and Manarola, if you still have time, or continue walking from Vernazza to Corniglia (another hour). Unfortunately, the famous Via dell’Amore (a beatiful trail linking Riomaggiore to Manarola) is presently closed due to a land slide. So here we go with your tour. Your gateway to Cinque Terre will likely be Monterosso. This is the largest of the Cinque Terre, the only one with a beach and the one with the highest number of hotels and Pensions. The railways station is located on the main beach, close to the Tourism office, to get to the old town walk on your left for less than half a mile and take the short tunnel. Moterosso is a delightful ancient village, which has kept all the charme of the past. You will find some very good restaurants, my preferred is the one just on the small cove. The Sentiero Azzurro starts just on the beach, just follow the many panels. The trail starts climbing on the hill, and you will shortly be walking among some of the most amazing vineyards you may think of. The Cinque Terre are reputed for their wines, you should taste the Vermentino (fruity white whine) and the Sciacchetrà, a sweet whine very typicall. The trail can be quite steep, and very hot during summer time. I suggets to take plenty of water and, in summer time, to avoid the cenral hours of the day. luckyly, you will find many shade areas along the trail. The trail proceeds fairly high in the hills, and offers breathtaking views of the coast and of the villages. After roughly one hour, you will get in view of Vernazza. Vernazza is in my view the most interesting and pictureque of the five hamlets. Don’t miss the old romanic church and the remains of the castle, from which you can enjoy a great view. Vernazza enjoys a bunch of good restaurants, and after all this walking you surely deserve a delicious fish delicacy. Anchovies are one of the local specialties. If it’s not too late (and you are not too tired) you can proceed along the trail to Corniglia (1,5 hours at least) or take the Cinque Terre Express to Manarola and Riomaggiore. You can take the train to Corniglia a s well, in that case take the bus from the station, so not to climb all the stairs. Riomaggiore is the last of the Cinque Terre,and one of the most visited. From Riomaggiore you can catch your Cinque Terre express to La Spezia, and from there back to Florence or Pisa.